Home » Blogposts » Learn More About the Variety in Our Theatre District! The Edgewater-Andersonville Theatre District is home to over 20 different theatre companies. Every single one of the theatre companies located in the neighborhood has their own niche and adds something different to the theatre community. This makes it extremely easy for local residents to find a new type of production that will broaden their theatre experience. In our previous post, we highlighted Edgewater’s Raven Theatre. Raven is a theatre company that differentiates itself by producing revivals that still appeal to the world today. At Raven, you can see a classic play and still learn a lesson about current times. However, not every theatre company has one single theater where they perform all of their plays, such as Raven. There are theatre companies that call Edgewater home but don’t have one location where all of their productions are. Instead of having one location, they use many different spaces throughout the city. An example of this type of theatre company is Nothing Without a Company. Nothing Without a Company puts on site-specific productions in Edgewater and other communities throughout Chicago. A site-specific production is one where a traditionally non-theatrical space is transformed to be the set of a play. Not only are spaces used that aren’t typically for theatre, but the location or building where the play is located is often actually incorporated into the play. This immersive element makes it difficult for the audience to not pay attention to every second of the play. 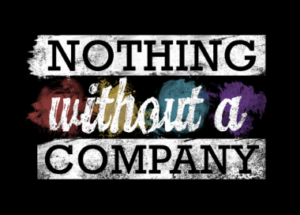 All of the plays may not be in Edgewater, but Nothing Without a Company calls Edgewater home and their mission directly aligns with Edgewater’s own support of the LGBTQIA community. Nothing Without a Company exemplifies the power of marginalized voices and how they make communities like Edgewater stronger. Due to many theatre companies in the Edgewater area not having one set location, there is a demand for performance spaces. The Edge Theater, located at 5451 N Broadway St, is a theater that offers just that. It is a performance and rehearsal rental venue that hosts productions in their space. The theater space has 100 fixed seats and 4 wheelchair-accessible locations. 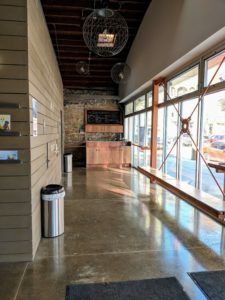 Recently, The Edge Theater even opened a second space called “The Edge Off Broadway.” It is a 45-seat black box located steps from the Edge Theater and with its own lobby, box office, and bar. 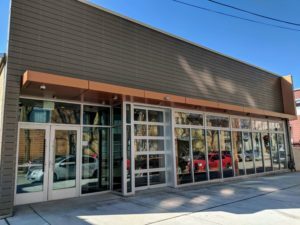 The address for the new theater is 1133 W Catalpa Ave. Now, there are two venues where local Edgewater residents can see all different types of performances throughout the year. Make sure to check out their website to learn more about the theater and to see their schedule: www.edgetheater.com.